Saturday I did a wide variety of shopping. I went to the mall to use the pile of birthday coupons from various retailers that I acquired this month, and I went grocery shopping in which I bought a case of canning jars in addition to actual groceries. What did I do with the canning jars? I used a couple to store some dressings I made thanks to my handy friend called Pinterest. Oh, and I dressed them up with some Martha Stewart kitchen labels. The cilantro dressing tastes just like the kind I get at El Pollo Loco, which is great considering I am addicted to it (I always ask for extra dressing when I order there). With the ranch dressing recipe I added a bit of ranch seasoning to boost the flavor. 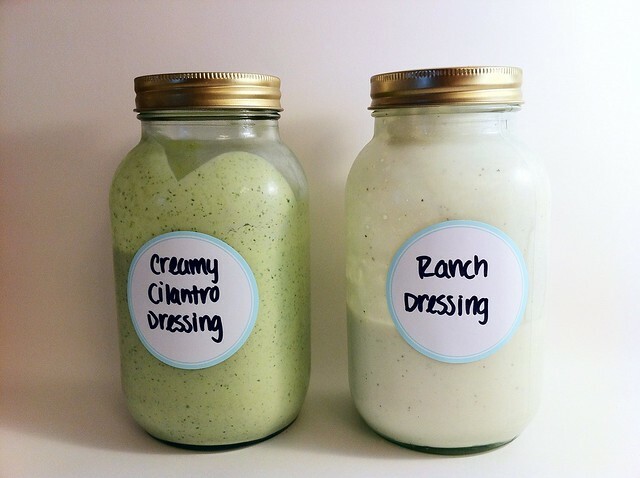 Totally worked because both the ranch and the cilantro dressings turned out DELICIOUS! 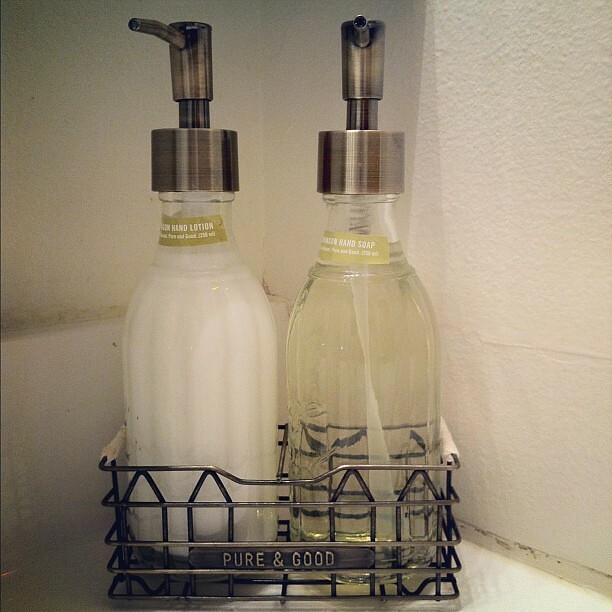 I finally used my pretty coupon from Anthropologie and bought a couple fun things for the house. 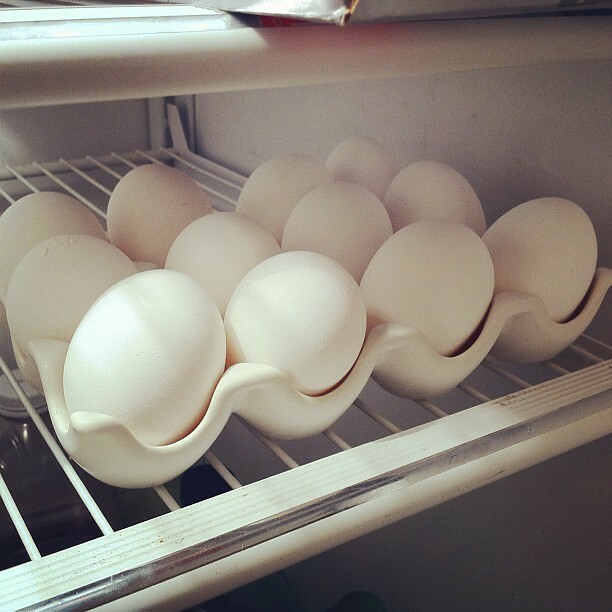 Got an “egg thingie” as I like to call it, and I got a set of hand soap/hand lotion for the guest bath. The soap and lotion smells SO GOOD! 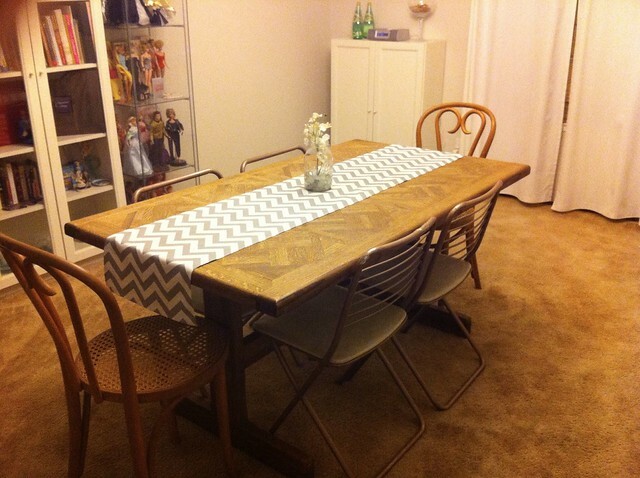 Managed to clean off my dining room table (it had a lot of junk on it) and made room for my pretty new table runner from Etsy. I also pulled off a quick centerpiece using a spare Mason jar, white stones, and a faux flower. The stones and flower were from one of my wedding centerpieces (blue and white stones mixed), so I picked out the white ones and put them in a Mason jar along with the flower. Hope everyone else had a fun, long weekend!